Beautiful completely remodeled bungalow featured on popular television show 'Flip That House'. Perfect location- 3 blocks to south beach, town, and popular Kids Corner park. The home has 4 bedrooms, a den, and 2 full bathrooms, including a euro-shower with 2 shower heads, and a jacuzzi bath. New large sectional sofa and 48' flat screen TV in family room. Gorgeous kitchen with new high end appliances and built in breakfast nook. Linens and towels are included. Fenced-in backyard with large deck, fire pit, patio furniture, and grill. Bathroom on main floor has large double shower. Bathroom on second floor has large soaking tub and separate shower. Bedding and towels provided. Please bring your own beach towels. Check in time is 3PM. Check out promptly at 10AM. Please respect these times, as the cottage needs to be cleaned for new arrivals. Full-size crib is available for $30/week. Towels and linens are provided. Please bring your own beach towels! The house was walking distance to beach and town! Every thing we needed was provided and the house was very clean! The house was perfectly located to the beach and town. We had a great week at the Beach Bungalow. The house was very clean and have everything we needed to make a week away with 3 young kids easy! Beautiful, roomy, and comfortable home in a great location! We were two couples with four teenagers staying at this beautiful home. There was plenty of room to spread out, with a den, front porch, back porch and back yard where one could get a little "me" time. A short walk to the beach meant several quick trips to see the sunset in addition to daily beach days. The beach is adjacent to South Beach, so we walked to the pier and rented paddle boards from there while setting up our chairs at the smaller quieter beach. Charming downtown SoHa is also a quick walk or bike ride away where we enjoyed shopping, restaurants, the farmers market, and the bakery (those donuts!). Leah was very responsive when there was an issue with the garage, and workmen came to fix it right away. We absolutely loved our stay at this property. The house was in a great location and was extremely clean. It was well supplied with everything we needed to make our stay feel just like Home. Leah was fantastic to work with and very responsive to any questions we had. We have three small children and they loved it too! There were so many toys, books, and games that it felt just like Home for them too! We would definitely stay here again!! We had a great time at the cottage! The proximity was great for town and the beach! This home was just as advertised. 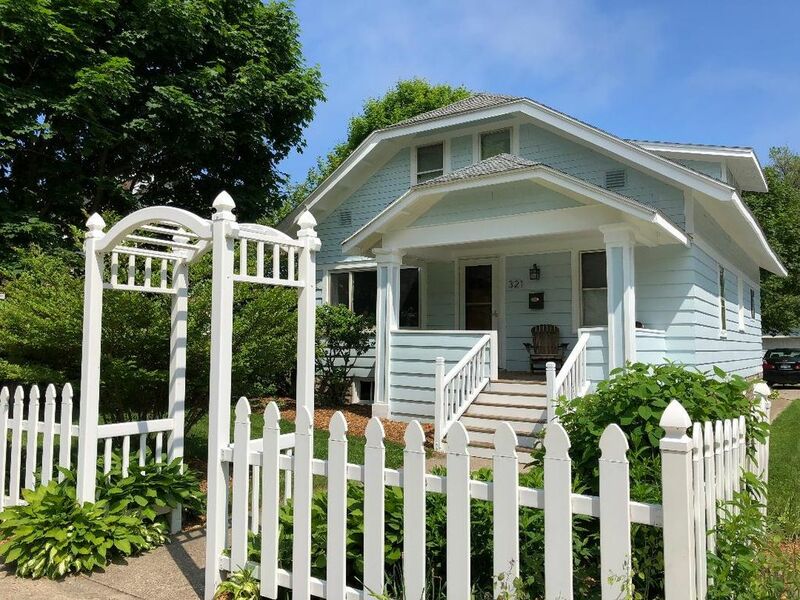 A beautiful home in a great location in South Haven. The owner was easy to work with easy to work and replied to questions promptly. Walking distance (4 blocks) to both the beach and to downtown shops and restaurants. House was clean and well furnished. Loved our time in South Haven. South Haven is a quaint harbor town with beautiful beaches, fantastic hiking/biking trails, wineries, golf courses, great restaurants and shopping. Don't miss the farmers market on Wednesdays and Saturdays! Tax is already included in the rental rate.